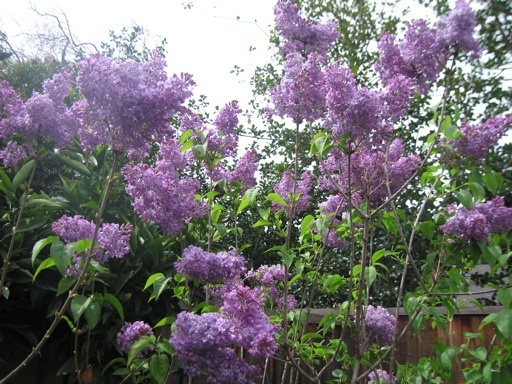 The lilacs in our yard have been in bloom for the past two weeks, but they look to be at their peak right about now. 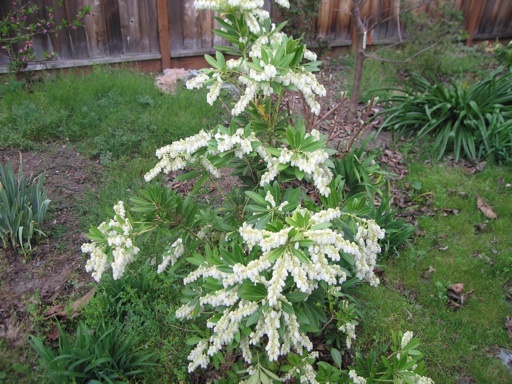 These are photos of one of our Lavender Lady lilac bushes, which is more full of flowers than it ever has been. 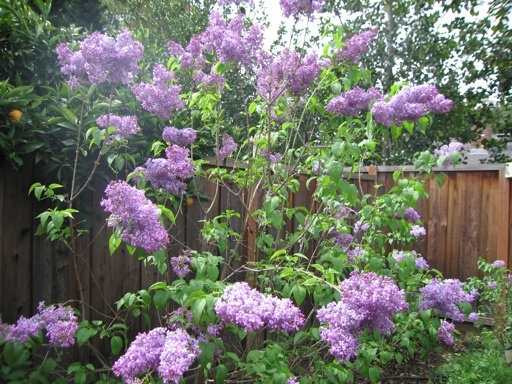 The fragrance of lilacs is really like no other flower. The fragrance is so strong that I can smell it at a distance of about 10 feet away. We are also growing California Rose and Blue Skies (descanso hybrids for mild winter climates) and Sensation lilacs, but our Lavender Ladys get the most flowers by far each year. 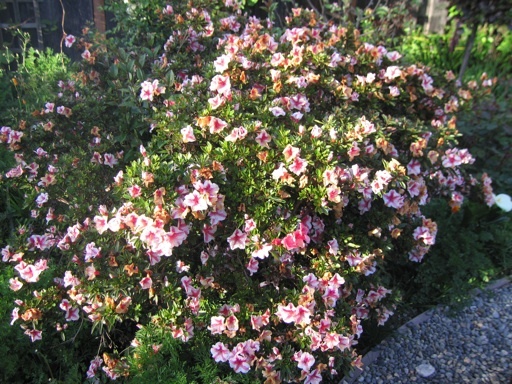 This is a photo of our one of our azalea bushes, which has been growing in our backyard since before we moved in. It is a well established bush at this point that doesn’t seem to need much care. Azaleas of course prefer partial shade, but this one seems to be doing well in full sun. I can’t remember the name of this plant. It’s a small perennial bush. My mom gave it to me about 2 years ago. It has been flowering in our yard for the past 6 weeks, but its flowers are starting to fade now. This photo was taken about 3 weeks ago. Its flowers look like tight clusters of ‘lily of the valley,’ but it’s leaves are very distinctive and evergreen.